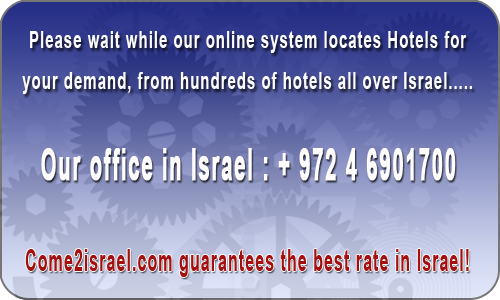 Last week Dan Boutique Jerusalem Hotel had 1446 viewers and 14 bookings. Dan Boutique Jerusalem Hotel is located overlooking Mount Zion and the Old City Walls. It is also located just a short stroll away from the German Colony, the picturesque Yemin Moshe neighborhood, the Jerusalem`s newest entertainment, culinary and art hub – `The First Station` The “Yes Planet” as well as other tourist attractions both ancient and new, like the Dome of the Rock Moszue, the wailing Wall and Via Dolorosa. The hotel contains 129 and offers guests elegant and sophisticated surroundings, combined with a cosy and intimate atmosphere, whilst maintaining Dan Hotels tradition of warm hospitality and highest standard of service; it makes an excellent choice for either business or vacation. Dan Boutique’s facilities help to make any vacation or business trip more relaxing and enjoyable. The hotel has an attractive terrace, which overlooks the Old City and Mount Zion, a sun deck, well-equipped fitness room and a stylish bar. Guests can enjoy complimentary Wifi in all rooms and public areas as well as a free parking upon availability.